What is your favorite kind of pie? Mine isn't apple - but since we left our cherry trees in Michigan and have apple trees now, I make apple pie. Our apple trees were really productive this year. I've canned apples and more apples and even more apples, and have made several desserts of baked apples (hubby's favorite), and I still have apples waiting to be "fixed into something." In past years I've canned apple pie filling (although I've since discovered that the USDA doesn't recommend canning ready-made apple pie filling with thickener added), and I've frozen apple pie filling in quart-size bags. This year I'll be canning my pie filling without thickener; I'll add it when I make the pie. This is how to make a pie crust the easy way. 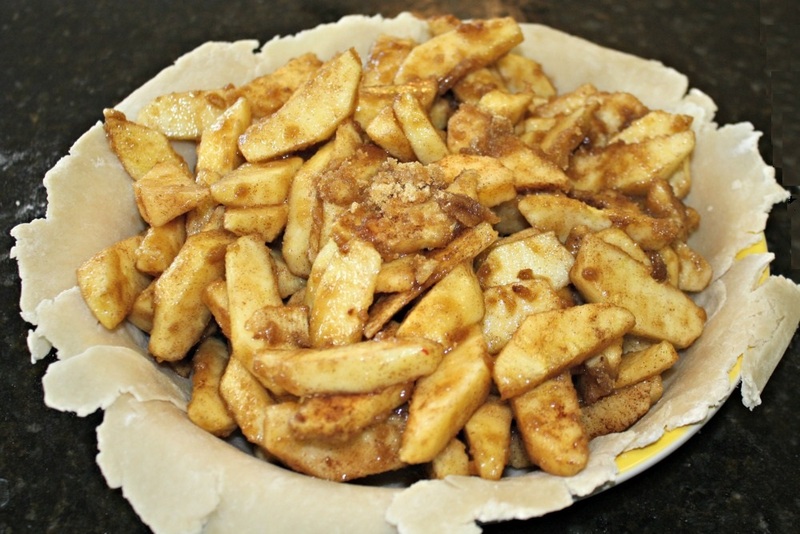 An apple pie uses two crusts, or one plus a streusel topping. Peel and core the apples, cut into thin slices. 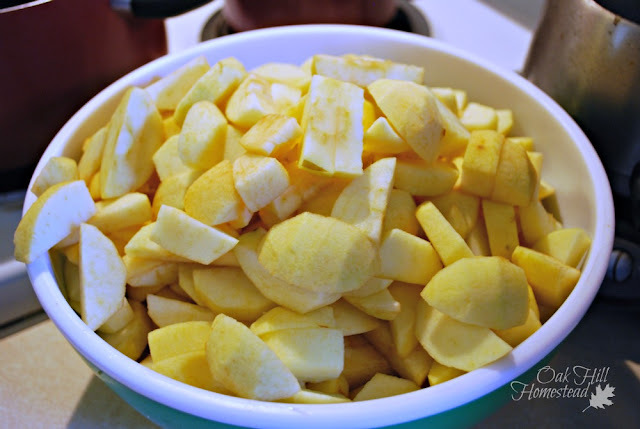 Toss apple slices with lemon juice to coat. Add sugar, flour, spices and salt, mix well. Pour into unbaked pie shell. Dot with butter. Cover with top crust if using, seal the edges and cut slices or poke holes in the crust. Put a baking sheet on the oven rack beneath the pie. Bake at 425°F for 40 to 50 minutes or until the crust is brown and juice begins to bubble up through the slits in the crust. Serve warm or chill and serve later. Photo by E. Nemscok, used with permission. Since I plan to can this filling, I'll leave out the flour until I'm ready to make a pie. Then I'll just pour off the juice into a saucepan, whisk in the flour, let it heat a bit, pour over the apples in the crust, and bake as directed. Yum! 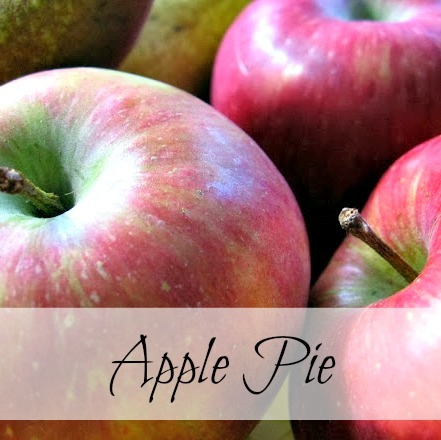 I love apple pie, with crust or with streusel topping! How lovely to make pies from your own home grown apples, Kathi! Thank you for sharing your recipe with us at the Hearth and Soul Hop. My hubby is a picky apple pie eater LOL I just finally got mine the way HE likes it. Thanks for sharing at the (mis)Adventures Mondays Blog Hop. I look forward to seeing what you share this week! Sounds yummy! I'd like to try canning apple pie filling. I miss living up north where we always had an abundance of apples. I miss those northern apple orchards too, Bonnie. There are many varieties that will grow further south though. Try Stark Bros Nursery, their trees are guaranteed for a year.